Recently I had the distinct pleasure to run a Dungeons & Dragons Alternate Reality Game for Wizards of the Coast called No Stone Unturned. 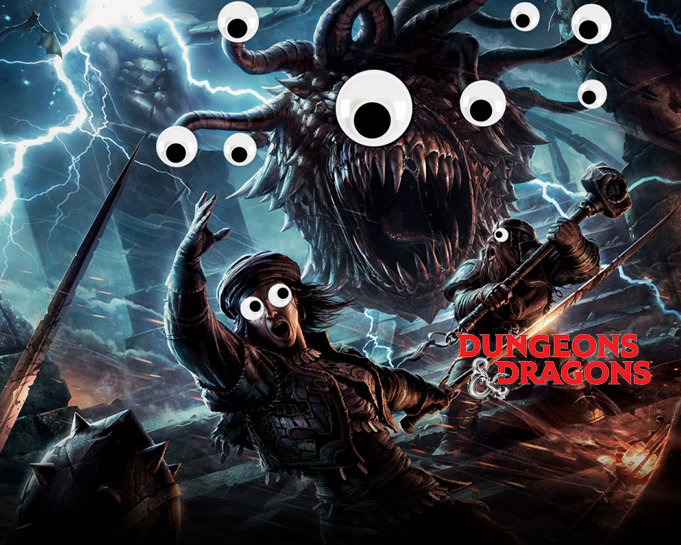 The ARG was a lead-up to an incredible live event that took place in June of 2018 called the Stream of Many Eyes, which was in turn a big marketing push for D&D’s upcoming slate of products. The Stream of Many Eyes was a live event that played out across two stages in a studio in Hollywood. On one stage was a massive, 360-degree immersive set of the city of Waterdeep, from the Forgotten Realms setting. This set featured fake storefronts for D&D related products, dozens of in-costume extras and stunt people, and off-the-table, costumed roleplaying GM’ed by Ivan Van Norman. On the other stage, celebrities and well-known D&D livestreamers would play traditional D&D. And all of those roleplay sessions were part of one big story, centered around obtaining a powerful artifact called the Stone of Golorr. Elminster, the Sage of Shadowdale, knew that the Stone of Golorr was an object of great power that had an important destiny. To keep the stone safe from those that would use it for ill, he sent it to our Earth for safekeeping, until such time as it was once again needed in the Forgotten Realms. And to further ensure its safety, Elminster dispatched trusted ally Volothamp Geddarm to watch over the stone on Earth. The No Stone Unturned ARG kicked off at the beginning of May with a character called Immortal Fortress “hacking” the official D&D Twitter account, alerting the people of our Earth that the time was now to find the stone and return it to Faerun. The only problem was, Elminster was out of pocket and was therefore not in a position to direct the players to the stone or its wielder. By solving a series of automated puzzles that Elminster had put in place for just such a situation, the players of the ARG located Volo and the stone, and managed to send them home.